Osteo Science Foundation is committed to shaping the future of regeneration. 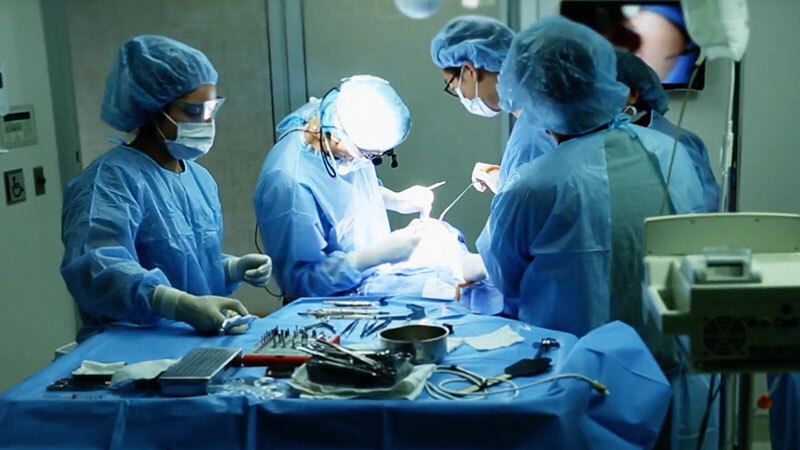 We are a catalyst for change within an industry of great promise, supporting a network of dedicated oral, cranial, and maxillofacial surgeons to hasten improved patient outcomes through research and education in hard and soft tissue regeneration. To unveil the true potential of regenerative medicine will require the power of forward thinking research and scientific collaboration. This is at the heart of Osteo Science Foundation. We are committed to providing these essential building blocks to move our industry and its practitioners forward. in oral, cranial and maxillofacial surgery. Participants in The Foundation’s Clinical Observership Program are the first to agree that the right professional development can mean all the difference – both in one’s career and in bringing about improved outcomes for patients. Designed especially for residents interested in a private practice experience, this innovative program is gaining strong traction among those seeking an edge and insight into the world of private practice. The Board of Directors of Osteo Science Foundation is proud to announce the recipients of our four available awards: the Peter Geistlich Research Award, the Philip J. Boyne Junior Faculty Research Award, the Resident Research Award and the Clinical Observership Program. Congratulations to the following 13 recipients. Alan S. Herford, DDS, MD, has recently been elected to the role of Board Chair for Osteo Science Foundation, following the completion of Dr. Peter K. Moy’s two-year term in June 2018. The right professional development can mean all the difference in one’s career and in bringing about improved outcomes for patients. Osteo Science Foundation grant recipients, Pamela Yelick, PhD, and Pasha Shakoori, DDS, will present their research at the conference.